Become An Authorized Reseller: Enhanced. As an ExactDrive Reseller you are taking the right step to meet your customer's changing needs while building your business for the future. As a reseller you keep full ownership of your hard-earned relationships, including pricing, communications and billing. This helps you maintain your relationship with customers while at the same time enhancing your offered advertising solutions. Using our advertising platform allows you to build, execute and manage campaigns for your clients in one centralized system 24/7. How to create a reseller account video. After joining resellers receive support and training ranging from creating new client accounts to resolving customer issues. Join our reseller program and expand your product offering! 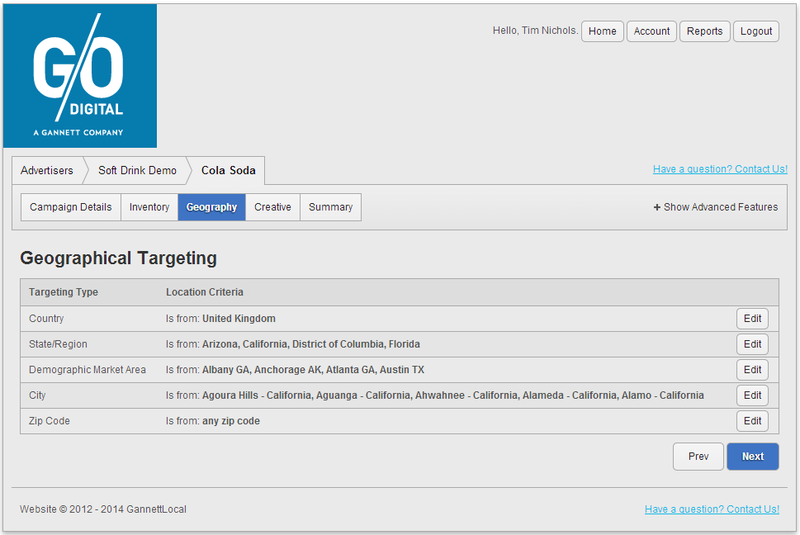 Customize look & feel of user interface to match company branding. It's tough to find the perfect platform for managing every aspect of your advertising campaign in one neat package. Most marketers are left to struggle with a number of different approaches that they attempt to tie together, while wasting crucial time and resources in the process. By establishing yourself as an ExactDrive reseller, you could be beginning your journey towards a marketing solution that addresses each of your customer's changing needs, while developing your brand image and establishing successful strategies for the future. As a business, you have enough challenges to face in your day to day operations, without having to worry about making marketing work too. As an ExactDrive reseller, you get the opportunity to maintain full ownership over your crucial client relationships, including communications, pricing, and billing. Not only does this help to make your relationship with customers more reliable, but it also gives you new ways to enhance your advertising solutions too, building and managing campaigns for various clients through a single, simple, and centralized system. For companies wanting to own an online advertising platform without going through the expense and challenges of developing their own technology, we are offering a proprietary solution. 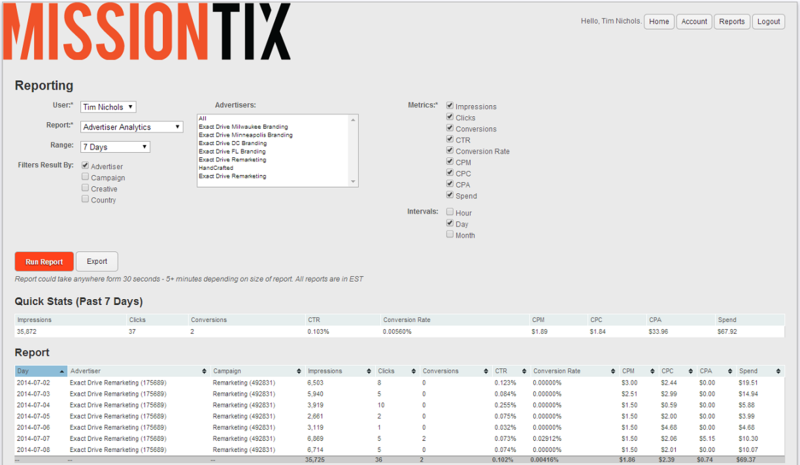 Resellers are able to white label (customize) the ExactDrive advertising platform to match company branding, including vanity domains, logos and color schemes. This flexibility enables resellers to generate greater value for their new and existing clients. Resellers gain access to ExactDrive's advertising platform and managed services team, offering frequently updated tools and marketing material for building, launching and managing online advertising campaigns. Access to training, account service support and innovative targeting abilities help drive more effective advertising solutions for your clients. One of the most distressing factors that marketing masters have to deal with when building up their business, is that they traditionally don't have much control over their ad campaigns. Although you can bid for ads and set up strategies that fall close to your idea of a perfect advertising plan, there are few solutions that allow you to establish your preferences when it comes to targeting, ad placement, inventory selection and more. Perhaps one of the most significant concerns that marketing companies worry about when it comes to using a reseller platform, is that they need to maintain company branding, logos, color schemes, and vanity domains, without having to pay obscene expenses associated with developing brand new technology. This is where a status as an ExactDrive Reseller could offer a useful solution. Sellers can white label customize their advertising platform to match every aspect of their existing brand image. In other words, you get to generate more value for your existing and future clients, without having to worry about changing your look. After all, we all know just how valuable brand consistency can be. As an ExactDrive reseller, you can plan out your advertising strategy, as well as managing solutions, analyzing traffic, evaluating reports, and making changes to optimize your digital campaigns to ensure the right creatives meet with the right potential customers. ExactDrive's reseller program is 100% FREE to join and maintain. Whether you have an expert understanding level of online advertising or are just starting out, the ExactDrive reseller program will help you grow your business. We offer a complete back end system for adding and maintaining advertising for your clients. Simply create and launch a new campaign with our easy to use system and user interface and we will do the rest. All advertising services are delivered to your customers anonymously so no one will ever know that the ExactDrive reseller program is providing services on your behalf. The world of online advertising, just like the world of business, is one that's in a constant state of competition. If you want to keep drawing in clients, then you need to know how to stay ahead of the other brands in your industry. As an ExactDrive Reseller you will gain access to a leading and scalable online advertising platform that aids in strategic growth and client retention. We work with resellers and agencies that need a single partner to provide high-performance online advertising solutions for their clients. What's more, you get to work alongside a company that can help you to visualize new and innovative advertising for clients. Imagine being able to offer everything to your customers from search retargeting, native advertising and display advertising to Facebook advertising to behavioral targeting, we help resellers offer the widest range of online advertising solutions. With thousands of advertising campaigns under our belts, our industry-leading advertising platform and expert managed services team help you give your clients the solutions they need to get more customers online. The more you can adapt your services to meet with the ever-fluctuating state of online advertising trends, the more in-demand you will be and ExactDrive is here to help every step of the way. Starting your journey as an ExactDrive reseller couldn't be simpler. 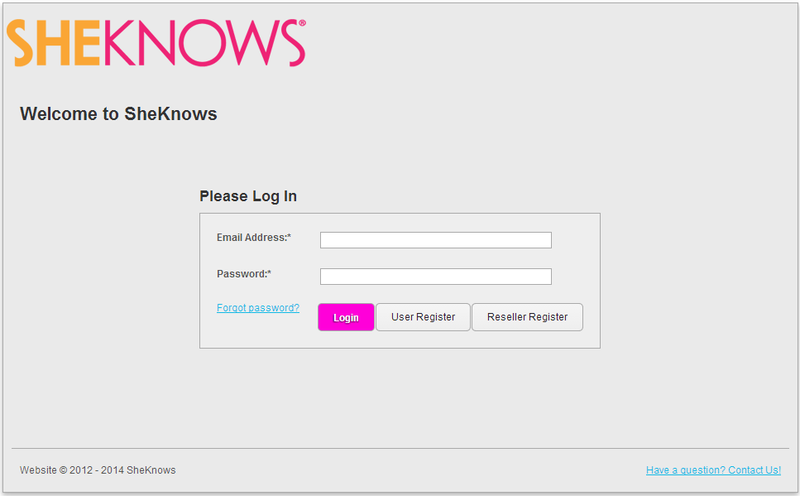 All you need to do is register with a few basic pieces of information, including an admin email address, and company name. Once your account is created, you'll be able to set up your reseller site settings, and make as many changes as you like according to your specific needs. ExactDrive even allows for domain name masking or forwarding, which means that you can automatically direct your domain name's visitors to a different website while making the destinations look exactly the same. ExactDrive’s white label reseller program accepts domain name forwarding or masking. Domain name forwarding lets you automatically direct your domain name's visitors to a different website as well as the advantage of making multiple sites look like a single site. Domain name masking prevents visitors from seeing your domain name forwarding by keeping your domain name in the Web browser's address bar. Domain name forwarding with masking activated, means that visitors to your website will only see the domain name (or URL) they typed in the address bar of their browser, not the domain name where you have forwarded them. With masking activated, visitors aren’t aware that they are being sent to a different website, regardless of where they are within your website. 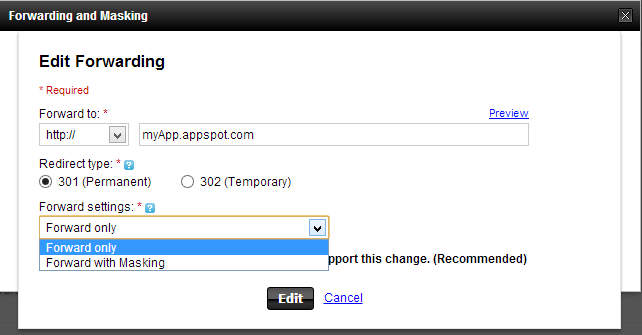 You can turn your domain name forwarding or masking feature on or off automatically within your registrar’s account. Leading domain name registrar GoDaddy.com offers a very detailed support page about how to set up domain name forward and masking as well as a support video we have provided below.